“Did you get my email?” is a typical question from those who think that communication is about data. Many times the email is sent just prior to a scheduled time for personal interaction. The question also reveals the person’s lack of social skill and knowledge about how communication works. In the early days of personal computers, the computer would send a document to the printer without any error-checking capability or validating cue to know if the printer received the file, had paper and ink, and was, in fact, printing the document. Business computers had the ability to receive a “handshake” cue from the printer validating the information needed, to know that the printer could complete the job. When the job was complete, the printer sent another cue to acknowledge that the job was finished. Now, all computers do this as a matter of routine. It’s expected. We don’t have a similar process in human communications. We send an email with no validation that the recipient has actually gotten the message and was able to read it. We assume that they got it, read it, and actually cared about it. The bottom line with this is that communication is not about data. Effective communication is based on relationship. Building relationship is good leadership and builds good communication. The message, including the necessary data, is also essential for communication. The email scenario I mentioned above is a toxic habit we have developed in our current era. We send data and don’t have any clue that it has been received, understood, or accepted. We are buried in messages, many of which are not messages we want to read. Cutting through the noise of communication is essential. Listening – As a musical conductor, I regard listening as a top leadership skill. Active listening is the key. 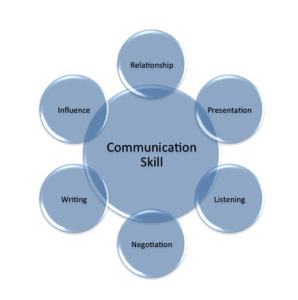 Active listening includes the skills listed below, however, listening is the core skill. 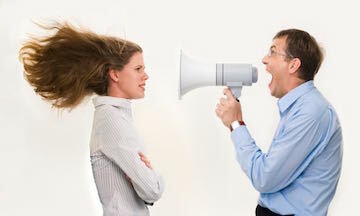 Communication is part transmission and part reception. When listening to someone, do not be afraid of leaving some silence after the other person finishes talking. Silence gives clarity. Silence validates that you have listened. Silence provides a time for preparing a thoughtful response. Listening is communication by caring and understanding. Presenting – Leaders are people of influence. When leaders speak, it’s important to understand the influence that goes with the speaking; in fact, speaking is presenting as if to an audience. We present because we have valuable things to say. Be thoughtful and craft thoughts into meaningful, prepared presentations. There may be only one chance for getting a point across. Presenting is communicating with a message, a vision, and emotion. Observing – Much happens in group interaction and in conversations that is missed. Leaders who observe what’s happening around them remain able to respond to what’s really happening. Observing is communication by recognizing what people have understood and what they need to understand. Questioning – Effective leaders do not have to know all the right answers. Effective leaders ask good questions and then listen carefully to the response. Effective leaders lead by asking questions that help others develop skills and create their own answers, rather than telling others what to do. Telling others what to do shuts down their interaction and discourages independent thinking. Questioning is communication by stimulating individual thinking and problem solving. Connecting – Leaders value team members as individuals, not only as functioning placeholders on the team. Connect to people as individuals and recognize them as a person first, and then a team member second. Connecting is communication through relationship building. Focusing – Leading others depends on clarity of outcome and ability to focus on what is most important. Stay focused and others will respond in kind. Focus is communication through action. This is a tall order. Leaders are not perfect. Leaders are always moving toward better, more complete systems and skills.